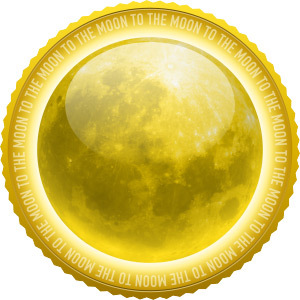 With over 384 billion Mooncoin (MOON) available, there is one coin for each millimeter of distance from the Earth to the Moon Mooncoin is intended to provide the thrill of big coin hunting and trading but with long-term stability. Based on sane block release targets, Mooncoin should provide years of good mining for all ages and equipment types. We are taking a “shenanigan free” approach to launch by trying to make sure we have our ducks in a row to reduce stress on our fellow passengers. We want to provide a fair, positive experience for everyone. And you know where the Mooncoin is headed… to the MOON. And recently the interest in this coin is growing more and more and it may even replace the DOGE as one of the most profitable alternative crypto coins for the moment.